The Idaho Public Charter School commission on Thursday approved a new charter school for the mountain community of McCall under the condition it submit a budget by April of 2020 that proves it will be financially stable for at least three years. The McCall Community School, a K-8 charter proposed by former Meadows Valley School educators Jennifer Schon and Patrick Berg, will focus on integrating students with the community, and will use a mastery-based education model. The decision to conditionally approve the McCall school followed an extensive discussion among commissioners at their Thursday meeting about whether the school could draw enough children to be fiscally stable. Ultimately, commissioners voted to give the school a shot. “The decision highlights the serious nature of what we’re trying to embark on, and reiterates the work ahead of us,” Schon said after the meeting. According to the school petition, the McCall Community School would be the only charter in McCall, and would serve a growing population of elementary school students in the area. Founders of the McCall Community School plan to tie the curriculum closely to places, projects and people within the McCall community. That “place-based” approach, is modeled on schools like the Teton Science Schools and others in the Place Network. Part of the school’s philosophy, Schon explained, will be using local examples to illustrate lessons in the curriculum. If a teacher were tackling ecosystems, for example, Schon said they would start with ecosystems in the McCall area before expanding the lesson to the Sahara desert or the Amazon rainforest, for example. The school also plans to invite local professionals to help teach students about their areas of expertise, and the curriculum will be closely tied to student work on projects in the McCall community. One example Schon used was having students work through the city’s plan to design a new library. The lesson is a way for students to apply math and reading concepts while learning about history of libraries and engaging with the community, she said. The McCall Community School will also offer mastery learning. Teachers, instead of teaching all students in a grade level at the same pace, will identify how much a student knows about a subject, and teach them accordingly. When students “master” one part of a subject, they advance to the next. Thursday’s meeting, and letters sent to the charter commission, show divided community feedback about the school. Founders say they estimate up to 95 kids will be interested in joining their program when it launches. Their application also included support from the director for McCall’s Little Ski Hill, and a leader of the Idaho Mountains Homeschool Co-op saying they would support the new school and its innovative education model. McCall-Donnelly School District superintendent Jim Foudy spoke at Thursday’s meeting, saying he had concerns about the viability of the school. Charter commission member Nils Peterson raised concerns the school might not be able to get the 65 students it needs to break even for its first year. Other community members said in a school survey and in letters to the commission that they are concerned the school will create a divide in the community and draw resources from the local public school district. The McCall Community School receives support from charter group Bluum and may receive grant money from the J.A. and Kathryn Albertson Family Foundation. 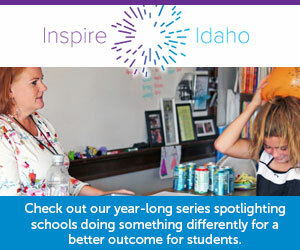 Idaho Education News is funded on grant money from the J.A. and Kathryn Albertson Family Foundation.